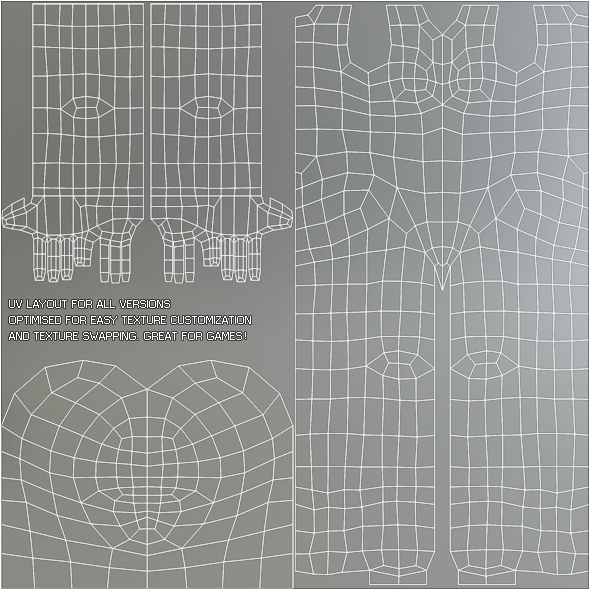 This package contains 3 versions of a low poly female base mesh (with face, with toes and without). The mesh consists of 100% quads and is optimized for sculpting with even poly distribution and slightly higher poly concentrations in areas of high detail like the face. The clean edge flow makes it easy to modify the mesh and make conform fitting clothes. It is also a great starting point for low poly game characters. 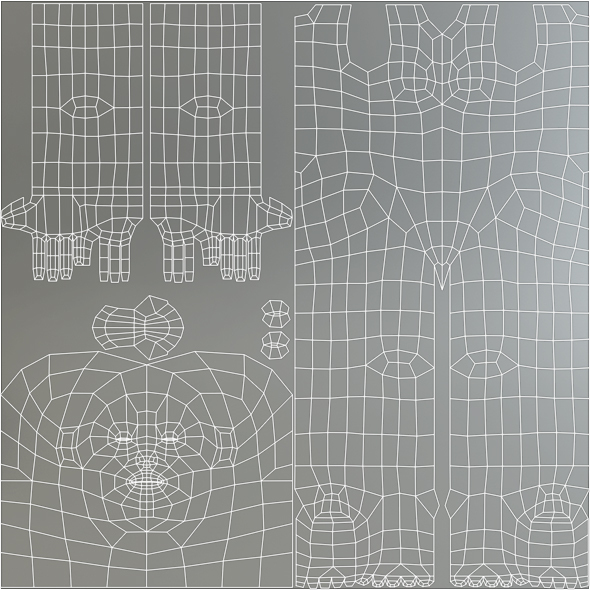 The UV layout is optimized for use in game projects. The texture space is used in an optimal way and the straight layout makes it easy to create clothes and texture variations and swap them around. It is a similar technique to what Blizzard uses in World of Warcraft. 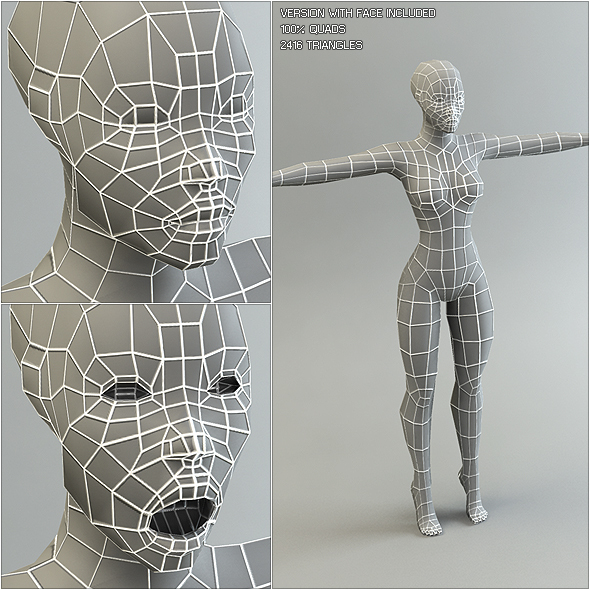 This base mesh is sure to quickly get you started on a new character model be it for a low poly game or a high poly sculpt project.